We recently shared an amazing bike that was aptly described as “The Ultimate Bicycle.” The mind behind that build is Drew Guldalian, owner of Engin Cycles in Philadelphia, PA. For almost 25 years Drew has been crafting some of the finest custom bikes in the country and his work certainly stands out. We caught up with Drew to talk about his design process and to learn more about what went into this incredible build. 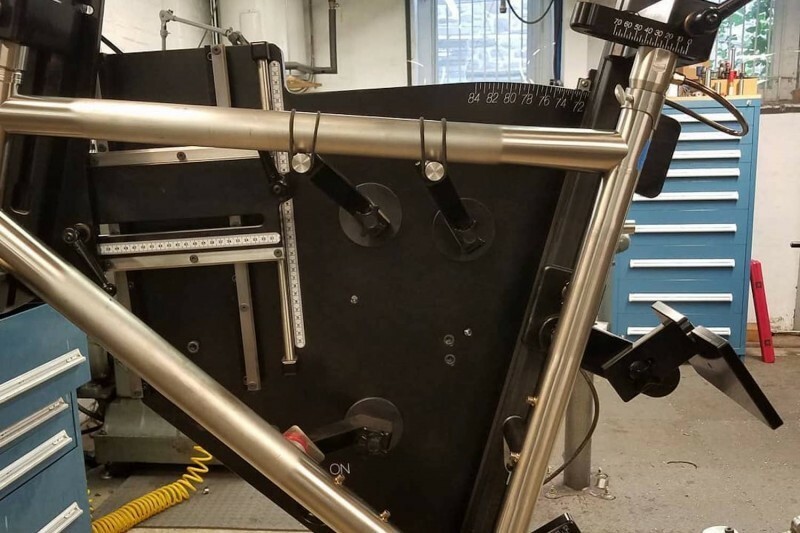 You’re well known in the industry for making all of your custom bike frames from titanium, which is notoriously hard to work with. What led to your decision to work exclusively with titanium? Drew: From the very beginning I was kind of on board with titanium and being a proponent of that material. 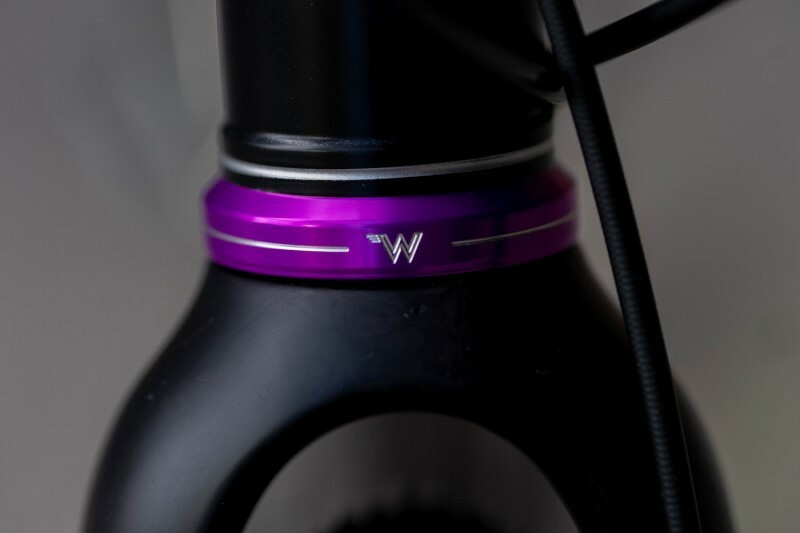 It was one of the things where I knew from the very beginning when I started making bikes that the end goal was titanium. But I also humbled myself in thinking, ‘you know, let’s start off with a more realistic material. 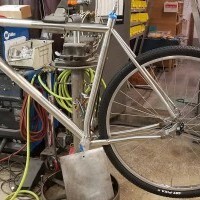 A material that I think I can use to make bicycles that are sound and safe, and are not going to break the bank as I’m trying to figure it out.’ So I put in five or six years of making steel bikes and then slowly introduced titanium. Once I was doing both materials, the writing was on the wall for me. 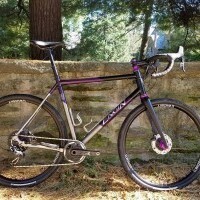 I was thinking ‘I just don’t want to offer these steel bikes,’ because in my opinion, it’s inferior to the Ti bikes that I make. And my goal has always been to make the best product that I can. So I just removed the steel from the menu. That’s when the evolution of the Ti bike for me kind of started. There were a lot of design issues that I wanted to address. 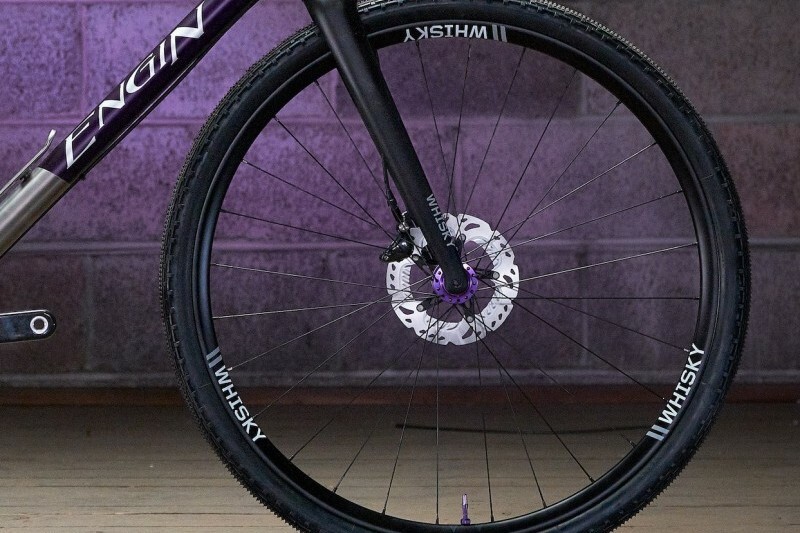 Things like derailleur hangers, chainstay placement, chain slap and the overall aesthetic of the headtube, etc. That was when I kind of took it to the next level and decided, ‘All right, I’m gonna make my own drop outs, my own this, my own that,’ and the bikes were truly going to be unique and custom. I suppose with a challenging material like that it makes sense to focus on quality rather than how many bikes you can make in a year. Drew: Yeah, definitely. 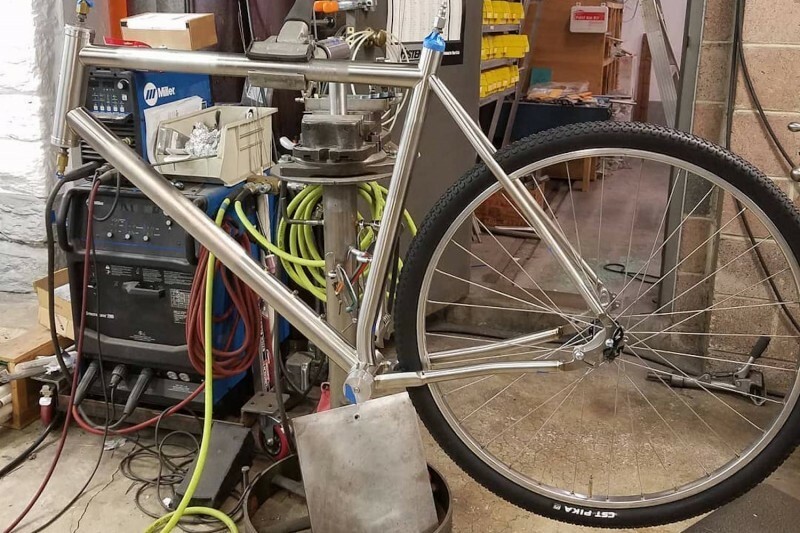 I walked away from being prolific when I bought a CNC machine and said, ‘Okay, I’m gonna make everything.’ I’m still just one person, and I think that a lot of people don’t realize that I probably put 35 to 40 hours of effort into a bike before I’ve even begun the act of making it for that person. 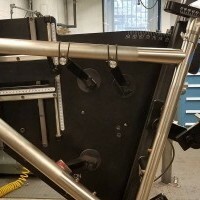 So that’s time that I have put into making the dropouts, the headtube, the bottom bracket and everything that goes on the bike before it’s even been commissioned and designed. You’ve said before that you are “All about the process.” What does that phrase mean to you? Drew: I mean, I’m far more invested in the front end of it and less invested in the sizzle you know? I put so much effort into trying to make the bike correct from the beginning that it kind of gets lost. I have so much invested in the tools and in how I make all of the small parts that ultimately make up a bicycle, that it’s sort of lost on the average customer. So I made a point of trying to emphasize my process. So yeah, it has the straight top tube and a straight down tube, and I don’t do any unnecessary, swoopy lines…but trust me, there’s a ton of technology being used and the bike is quite advanced. So emphasizing the actual quality of production versus just how it looks? Drew: Yeah. I mean, I am very invested in the aesthetic too, but my aesthetic is as clean as possible. I really like stuff that flows and has a purpose. These are the kinds of things that haunt me at night and I just spend an excessive amount of time trying to solve problems. I guess to me they’re big problems because of how much money you’re spending. So I feel like every detail needs to be dealt with. That’s my process: taking every detail and really making sure that it’s the best. 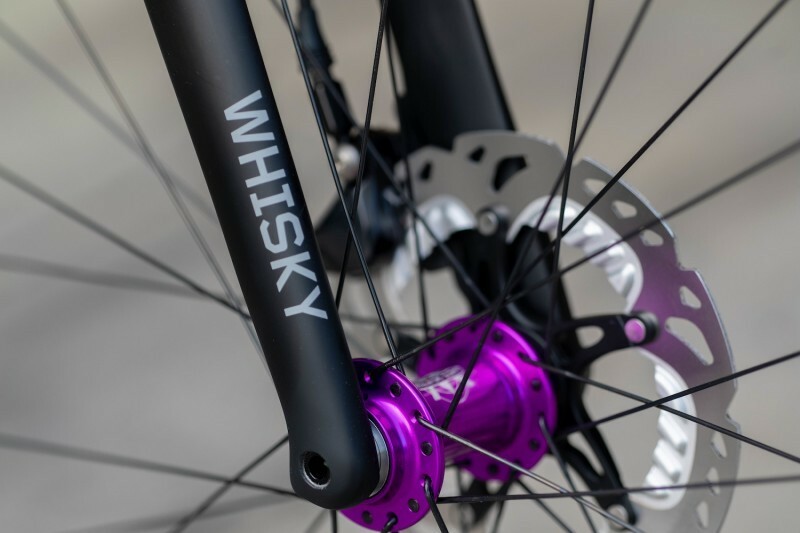 Because you’re always looking to make the best bike possible, finding the right parts can be a lengthy process. 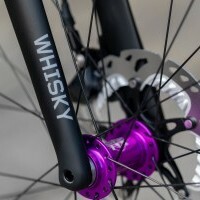 You told me that the “Ultimate Bicycle” was put on hold for six months while the Whisky No.9 CX 12mm Fork that you wanted was being developed. What did you like about it so much that made you wait? Drew: I decided to wait for this fork because I didn’t want to use one that had a 15 millimeter thru axle, and I didn’t want to use one that didn’t have enough tire clearance. 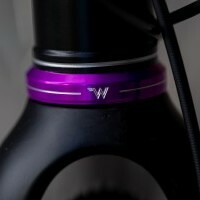 I wanted one with fender mounts and I wanted it to be a carbon fork. 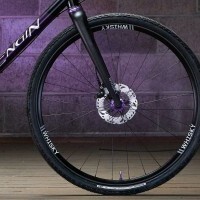 There aren’t too many forks that have a lower axle-to-crown, and to go as far as 50 millimeters was a big deal. So that was one of those situations where patience paid off and in the end we made a better product. 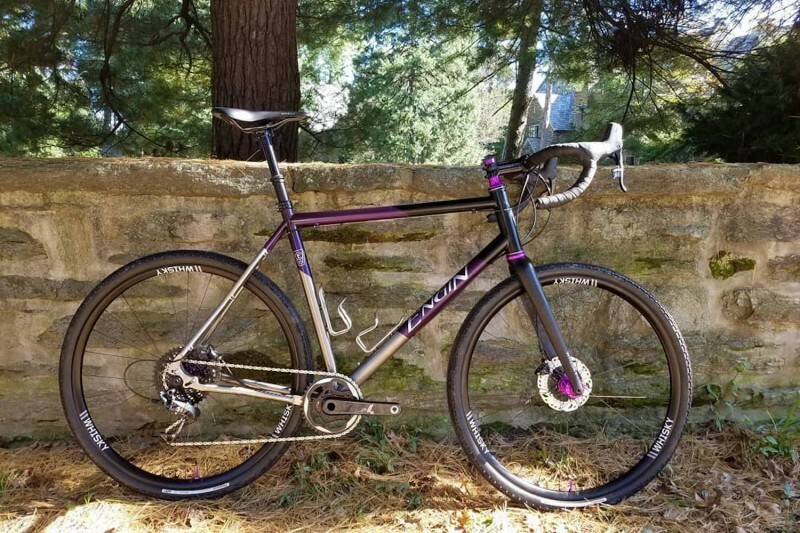 We continue our conversation with Drew in part 2, where he shares his ideas about using dropper posts on road bikes, and how a close friendship helped put a unique finishing touch on this incredible build.